Home / Past and Present / Ferries / SS Oranje Nassau – Past and Present. 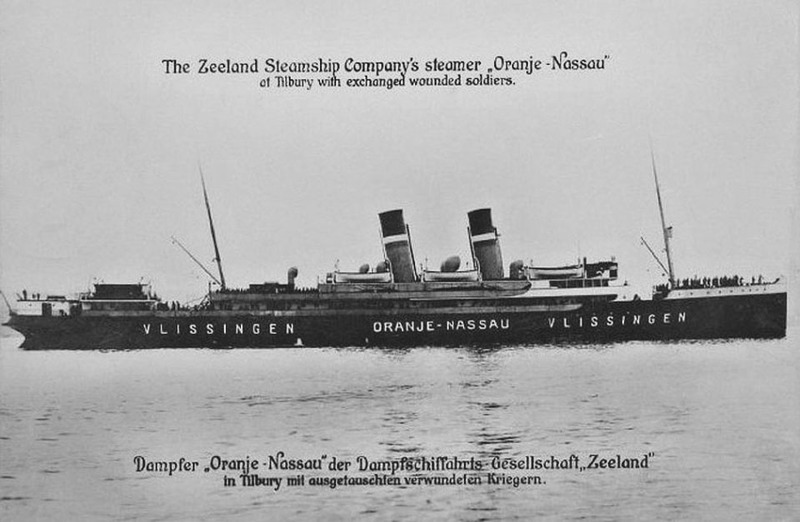 SS Oranje Nassau – Past and Present. Engines: Two sets triple 4-cylinder Fairfield steam engines. 1909: Delivered to Stoomvaart Mij. Zeeland, Vlissingen – Queensborough on trials she made 23.7 knots. May 1911: Because of draft limitations in the Medway operated between Vlissingen – Folkestone. June 1911: Visited the “fleet review” at Spithead. 1914: Remained in commercial service. 1916: Laid up when the service was discontinued for the duration of the war. June 23rd 1919: Resumed the night service Flushing – Folkestone. 1922: Modernised internally and converted for the day service. December 31st 1926: Arrived light at Parkeston Quay, Harwich from Flushing in order to start the Harwich – Flushing service the next day. 1927: Zeeland’s English terminus became Harwich in place of Folkestone. 1927: Arrived as the first ship on the route Vlissingen-Harwich. 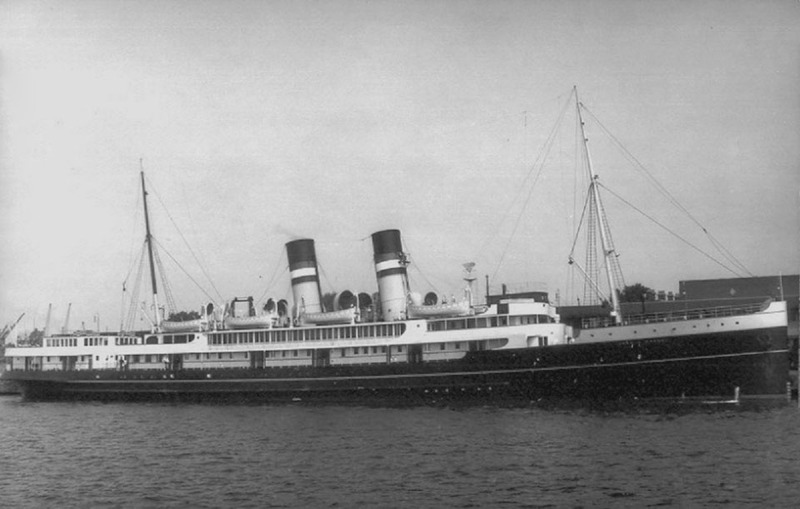 1928: Used as accommodation-ship for Olympic Games in Amsterdam. 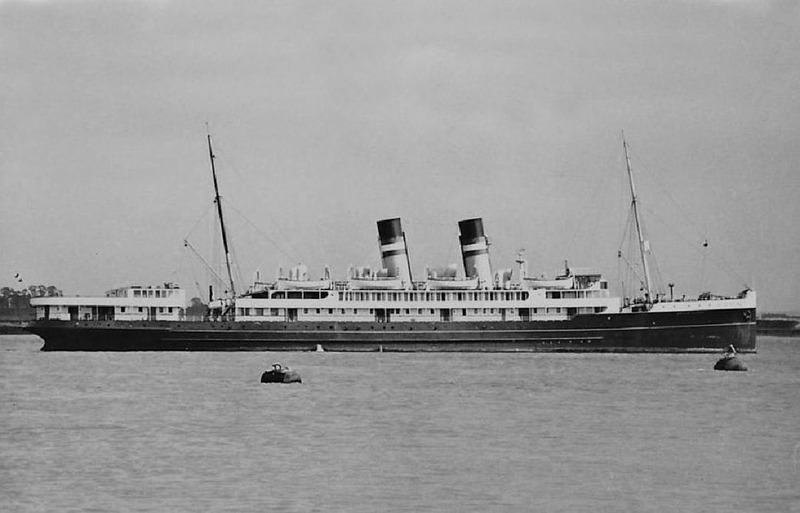 September 1939: Operated Flushing – Tilbury 3 x weekly when Harwich became a naval port. May 13th 1940: Escaped to England when the Netherlands was overrun by Germany. Under the management of Wm H Muller & Co., (London) Ltd used as a Dutch Navy depot ship in UK during World War II. May 29th 1940: Left the Thames Estuary for Weymouth Bay. June 4th 1940: Berthed at Southampton. September 6th 1940: Left Southampton for Falmouth. September 12th 1940 – September 21st 1940: Via Milford Haven anchored in Belfast Loch. October 20th 1940: Arrived in Southampton. July 15th 1941: In use in Holyhead as accommodation ship of the Royal Netherlands Navy. February 17th 1944: Arrived in London. 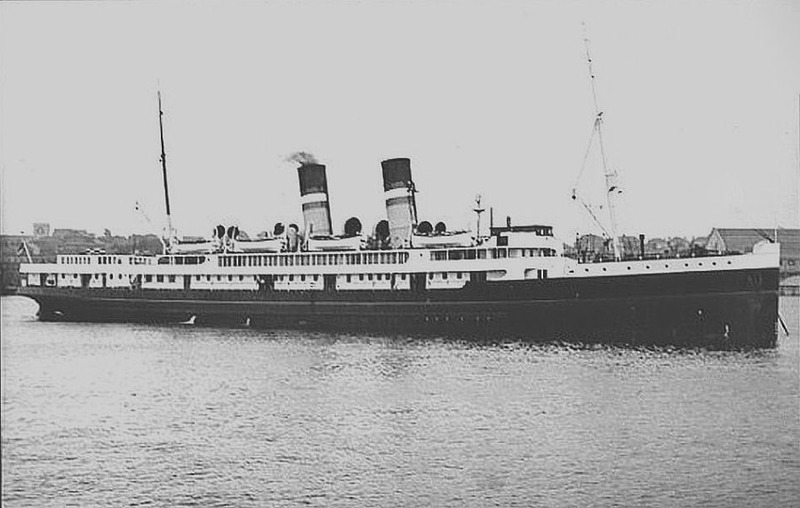 August 20th 1945 – June 29th 1946: Troop-transport ship Rotterdam-London. October 24th 1946: After release sailed Rotterdam-Tilbury/ Hook-Harwich in conjunction with PRAGUE (London & North Eastern Railway). This commenced the joint running operations which characterised the route’s future. 1949 – 1952: Chartered to Wm. H. Muller’s Batavier Line. 2 x weekly Rotterdam – Tilbury after which she acted as relief vessel. 1952: Summer; On the Flushing – Harwich day service. July 17th 1953: Left lay-up at Schiedam and operated seven round trips Harwich – Hook. August 30th 1953: Final arrival at Harwich then to Schiedam for lay-up. 1954: Sold for scrap to Hendrik- Ido -Ambacht. July 12th 1954: Arrived for breaking by N. V. Scheepssloperij, Holland scrap yard. Hi very nice about a old dutch steamer i like those very much, thanks! SS Mecklenburg (II) - Past and Present.